August Motorcars is honoured to offer this pristine 2002 575 Maranello by Ferrari. Presented in classic Argento Nurburgring Silver over Black Daytona Style Leather Seats,this 575 looks like it's right out of the movie Bad Boys 2. Expertly detailed by our professional detail bay upon arrival,this extremely well cared for and powerful Maranello comes to us with service records,professional appraisal,no accidents,and passes our stringent 100 point inspection making it August Certified. We offer exclusive incen tives for our out-of-town clients! Ask about our all-inclusive buying experience. 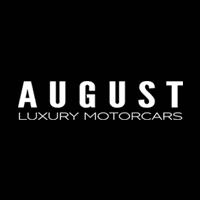 August Luxury Motorcars also offers everything from shipping to cross-border brokerage solutions. Minimize the stress and let us take care of the details for you. Come down to our showroom as it is priced to sell with great finance and lease options available. Please contact us toll free 1 (250) 860-0444 August Motorcars,Redefining Experience! August Motorcars is proud to be offering this stunning California Convertible by Ferrari,presented in classic Bianco Avus over Nero Leather Seat Trim and perfectly complimented by Rosso Red Contrast Stitching. Expertly detailed by our professional detail bay upon arrival,this sporty,comfortable,and very well cared for California comes to us in impeccable condition from here in B.C. with no accidents,and passes our stringent 100 point inspection making it August Certified. August Motorcars is honoured to offer this stunning 458 Spider by Ferrari,presented in classic and stylish Grigio Titanio Metallic over Nero Leather Seat Trim and perfectly complimented by Red Contrast Stitching. Expertly detailed by our professional detail bay upon arrival,this exhilarating,sporty,and well cared for 458 Spider comes to us in impeccable condition from one owner,here in B.C.,and passes our stringent 100 point inspection making it August Certified. August Motorcars is honoured to offer this incredible 488 GTB by Ferrari,presented in classic and stylish Rosso Corsa over highly sought after,Cuoio (Tan) Leather Seat Trim and perfectly complimented by Rosso Red Stitching. Expertly detailed by our professional detail bay upon arrival,this exhilarating,stunning,sporty,and well cared for 488 comes to us in impeccable condition from one owner,here in B.C.,no accidents,and passes our stringent 100 point inspection making it August Certified.